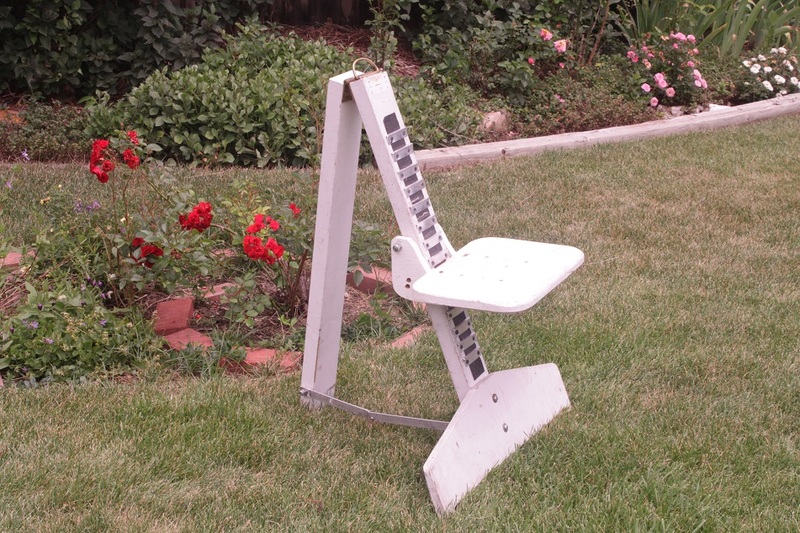 When I first developed this seat I was looking for something simple and inexpensive. The total cost to make one of these is about $20 and it only takes a couple of hours to make, even if you have little experience in building things. It is also compact and extremely adjustable. I wanted something that would give me a lot of possible seat heights and was very quick to adjust. I showed it to my friend Chuck Carlson and he made some refinements to the basic design. You can find plans for his version at Chuck Carlson’s Page on the Denver Astronomical Society Website or in the second edition of Phil Harrington’s book Starware. (The newer editions of the book have have different projects so you may have to dig a little to find the second edition). After more than twenty years of use, I still have this original. However, it has always suffered from a little problem. 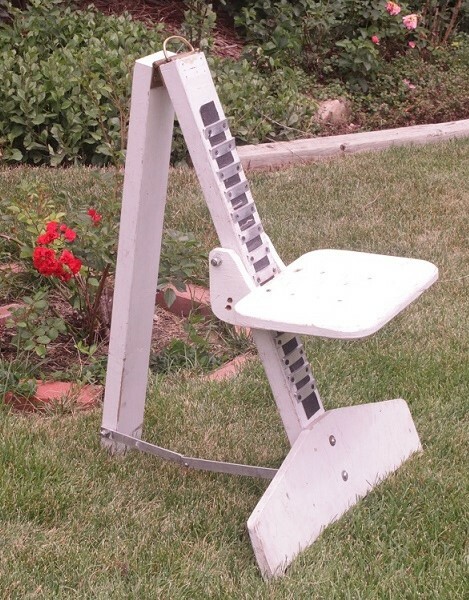 Sometimes when I would accidentally kick the chair when moving it or set it down a bit hard, I found that the seat would slip all the way all the way to the bottom. I tried all kinds of solutions, mostly involving friction. None of them worked very well. 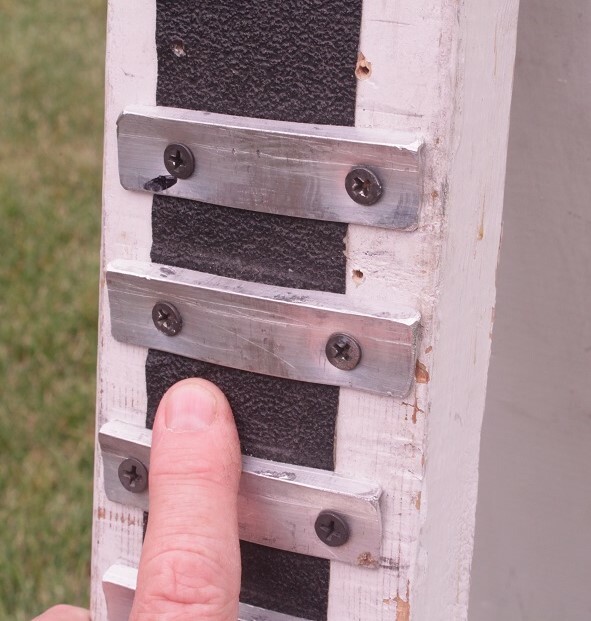 Many builders have used a sort of notched back plate to reduce this tendency. Here’s how I implemented an easy fix on my chair. Instead of notching the back. I installed little steps on the front. 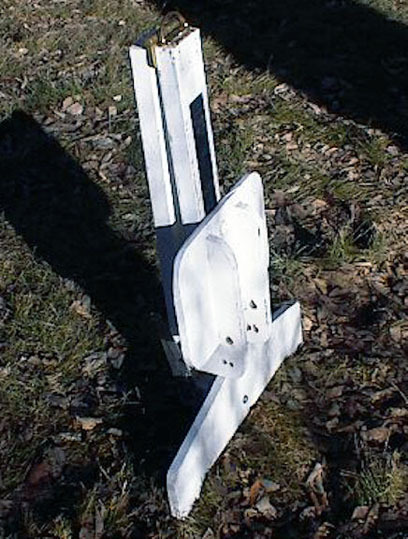 These catch the seat and prevent it from sliding until a very distinct upward force is applied. It may look uncomfortable but remember that you almost never lean back on the chair. 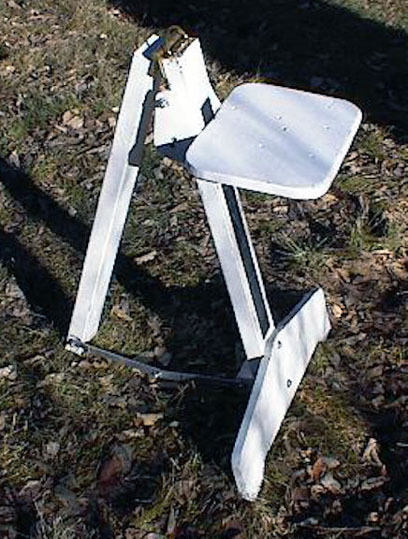 In fact it is more like an adjustable stool in use. Should you lean back the little steps are relatively benign and not uncomfortable. Of course, I took great pains to make sure the little steps are not sharp. I can actually lean on them with no discomfort at all. Most importantly, the seat never slips anymore and it is still very easy to adjust. There are a lot of little steps so the possible seat elevation remains very flexible. I made these by cutting and trimming some inexpensive aluminum angle stock from the hardware store. I filed the edges and corners nice and round, drilled each piece and screwed each one in place. Again, the cost is only a few dollars and a bit of time. This version is much improved. The seat stays where I place it and the adjustment is still very simple. I have been using it this way for about a year with no problems.